On the polygonizer mesh, create an ICE Tree. Use Get Closest Location to get a location on the point cloud, get the color from that location. 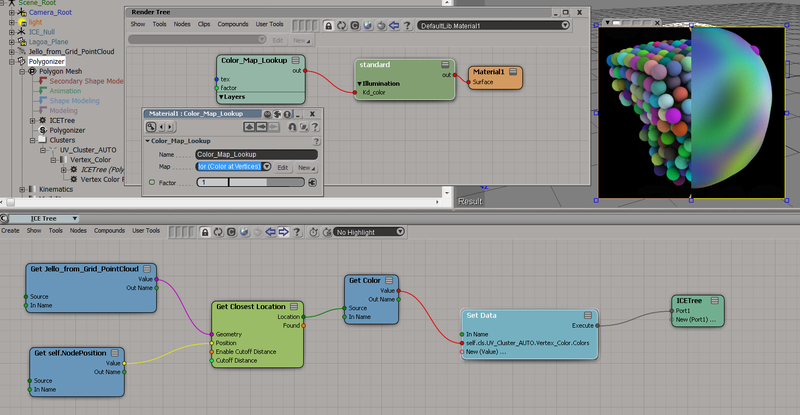 Store that color somewhere (eg in an attribute on the polygonizer mesh, or in a vertex color map). 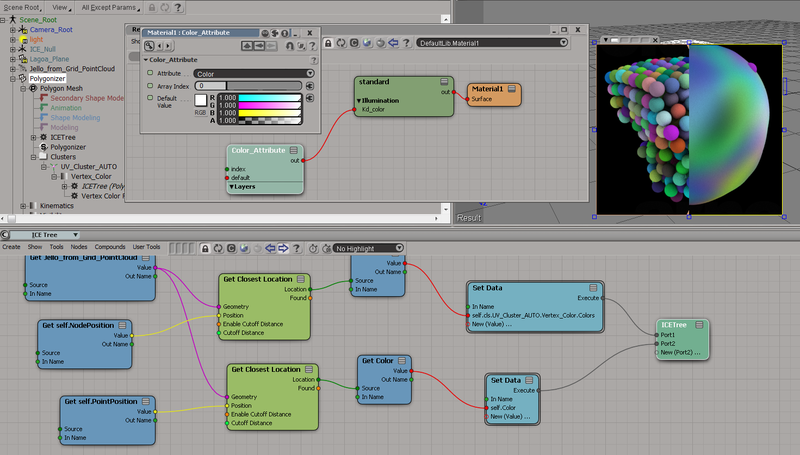 This entry was posted in ICE and tagged Get Closest Location, ICE, Polygonizer, Softimage by xsisupport. Bookmark the permalink. I love your posts. They open your eyes about certain details in Softimage. But ICE… man, ICE is just not meant for me! For mental ray there’s also the “point cloud lookup” node – could be considered for this in case the mesh isn’t dense enough. Does read vectors only so some conversion would have to be done too. This question came from an Arnold customer. Seems like I still have same problem. How did you make “Get closest location” to work with particle cloud? It`s not working for me, just returning the same position I have on input.